Here it is, friends. List away the joys and gems of a year past. Here, let us gaze upon the high watermarks of that young and boisterous medium held dear; experiences plucked and held aloft, testament to merit and argument for implacability against the so-called finer arts. Pass judgment. Leave thoughts. Live. 2015. The year that was. Semel in anno licet insanire, comrades. Now is the time. Another cycle, another roundup validating time used and money spent. It's been a markedly strong year for the big folk, with The Witcher III, Metal Gear Solid V, a fresh Tomb Raider and an irradiated sandbox tickling critical fancy. However, as illustrated by the following, smaller and arguably more interesting titles have more than held their own. I present a personal Top Ten for 2015, and one that might feel a bit different to the usual. Perhaps controversially, this list includes a clutch of Early Access games. However, my cut-off criteria was simply for a game to leave a lasting impression. And in 2015, amid the Big Publisher™ bombast, the following games floated to the top of the personal pile. This is by no means a categorical summary of 2015's finest, no entire gamut or complete spectrum. You won't find Her Story here, which I thought was pretty damn fine. No Undertale, which I hear is biblical in its power to be as funny as it is endearing. You won't find current generation exclusives. Heck, I didn't even play this year's Desert Golf, Downwell. The Top Ten below is simply a fellow following his nose on hardware he has, and damn well liking some of what he found. So, please enjoy this selection of goodies that exists outside of the usual tired suspects. Not above being extra-proud of efforts borne of the scarifying Australian development scene, Star Hammer: The Vanguard Prophecy dropped out of warp and proved to be almost the perfect digital miniatures game. Taking cues from Ace Patrol as much as Battlefleet Gothic, the shortcomings of few factions and dismal sound design could not dampen my enthusiasm for an accomplished starship shunt-about. Intuitive interface and deep fleet options make Black Lab Games' sophomore effort an easy pitch to space navy types. Gollop still gots it. The X-COM creator and one of gaming's quietest achiever returned with a successful Kickstarter-fueled reboot of his old game, Chaos: The Battle of Wizards. Reborn drips with style, sidestepping tawdry fantasy trappings with a strange esoteric aesthetic that deserves special mention. But the real celebration should be over its Poker-esque undercurrent; the entire game is predicated on probability and chance. 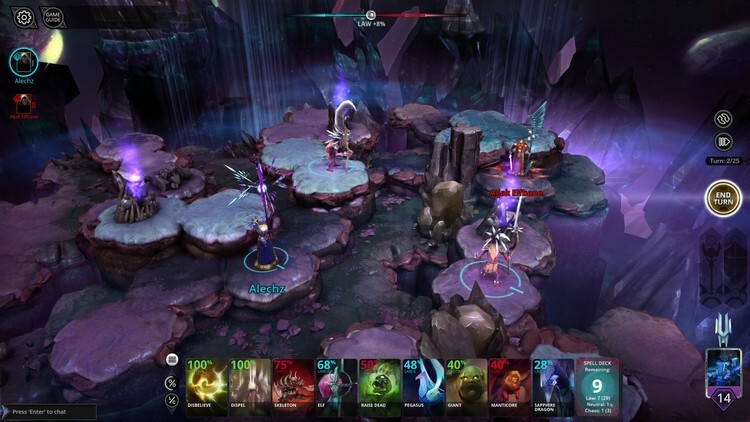 Using the ruse of phantom plays amid real ones, Chaos Reborn has players managing the success of summoning creatures in an imperfect world, where magic is as uneven in its efficacy as the arena topography itself. Without a doubt, an essential serving. Klei had my attention from the moment this was originally unveiled and under the codename Incognita. A slick, smart tactical spy romp with an emphasis on non-lethal in-and-exfiltration through proc-gen facilities. 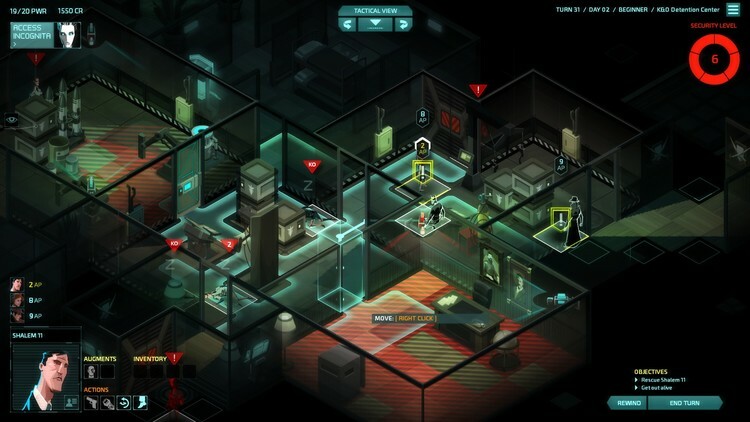 Incredible audio-visual ambience met tasty mechanics perfectly, making Invisible Inc. the easy recommendation for anyone living in a post-Firaxis XCOM world. With DLC freshly deployed, this game deserves to be stuffed into the stocking of anyone still not hacking, stalking or stunning. Fatshark, I'm still waiting for the second installment of Krater. But in the meantime, your work in crafting the best first-person co-op brawler-of-sorts to date shall, ahem, tide me over. Before I am devoured by the pun-rats, Vermintide is certainly something very fine. I care little for fantasy in general, but will always hold a blood-streaked banner aloft for the Grimdark. Vermintide is that in spades, loosing players into its mix of fallen urban and regional locales, each teeming with rodent hordes needed a good thinning. 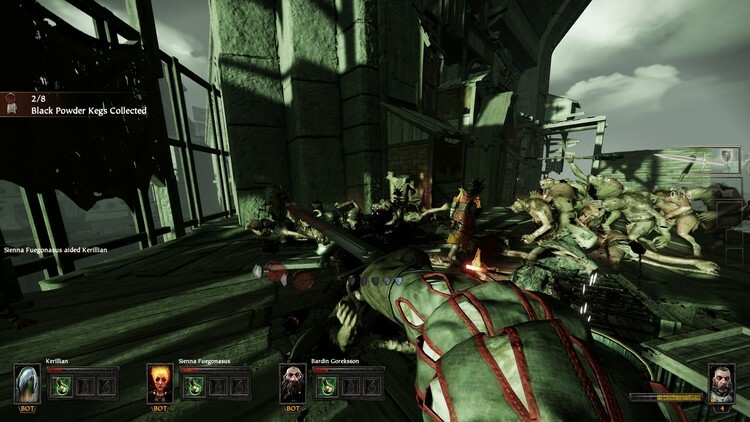 Combat is vicious and Fatshark have been largely successful in doing justice to heaving a sword in first-person. Music is also by Jesper Kyd, so you kinda know everything has fallen into place. Hugely entertaining, highly difficult, bring friends and whetstones. It takes around ninety minutes before Exanima makes any sense, and even then, it's still Drunkard Lost In Catacombs Simulator 2015™. 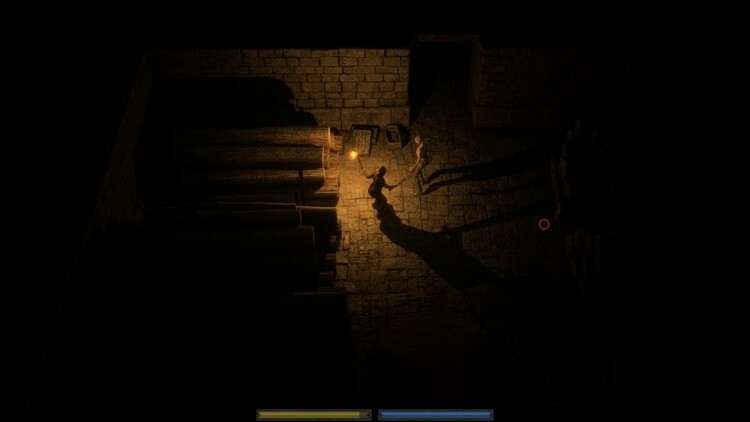 But when controls are grokked in this isometric melee combat game, Exanima is the freshest thing out. It's governed by mouse-driven flailing and feels highly unnatural until players begin to understand the heavy, physics-based nature of it all. Position and timing is everything, with wanton attacking only inviting a quick and savage bludgeoning. If Dark Souls met Die By The Sword and Bridge Builder carried the lovechild to labour, Exanima would be it. A daring, hilarious and uncompromising combat game. For a few hours, feel like a fool. Beyond that, feel like Conan. There are those that might take umbrage at the inclusion of an Early Access title, but then, those people play it far too safe for my liking. 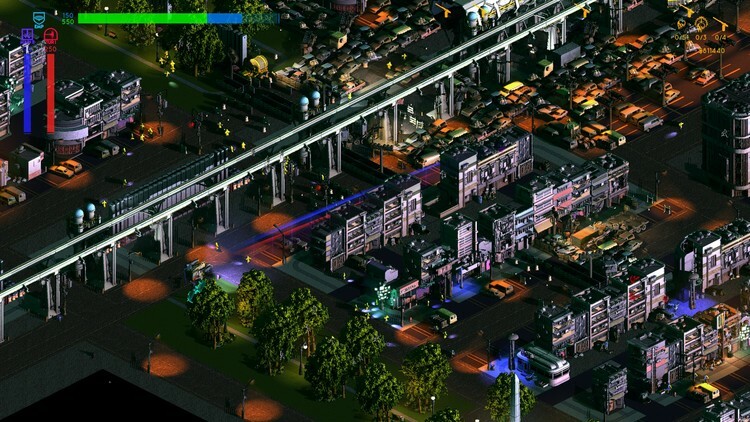 The release of Strangely Interactive's fleet-and-foot science-fiction action game onto Steam Early Access marked a milestone in the game's seven year-long development cycle. And it'll be another year until the beast is spit-shined to a shimmering full-release, or so the developers stated. But for what's here, and even in the wake of grandiose efforts like DICE's Star Wars: Battlefront, I find Angels Fall First absolutely fascinating. A triumph of visual design and ambition, it captures exactly the kind of grandiosity Terran Trade Authority junkies have been chasing for years. Colossal battlecruisers, their innards completely functional with turrets, hangars, bridges, swarmed by gnat-like fighter craft over mammoth orbital installations. The ground combat, while markedly less picturesque, is comparably satisfying. In the few short months since release, Angels Fall First has been and will remain, my go-to science-fiction toybox. Semper Fidelis, leathernecks. Call to Arms usurps the Men of War forebear formula. 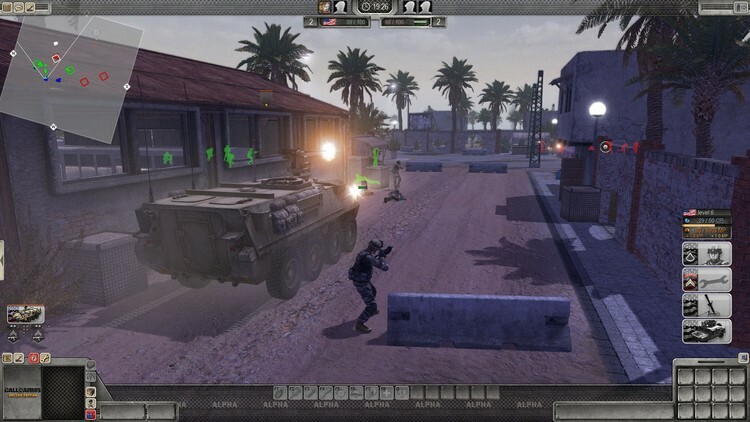 The modern era real-time tactics operate on a smaller, more intimate scale in Digital Mindsoft's Early Access effort, and I will argue for the better. Fireteams move with trained precision, manoeuvring with purpose and firing in measured, realistic bursts. It feels like Full Spectrum Warrior meets Company of Heroes, and while the trappings and baggage of Men of War carry over -- some sound effects, interface -- they are slowly being chipped away to reveal a fresher, faster, fiercer piece of work. 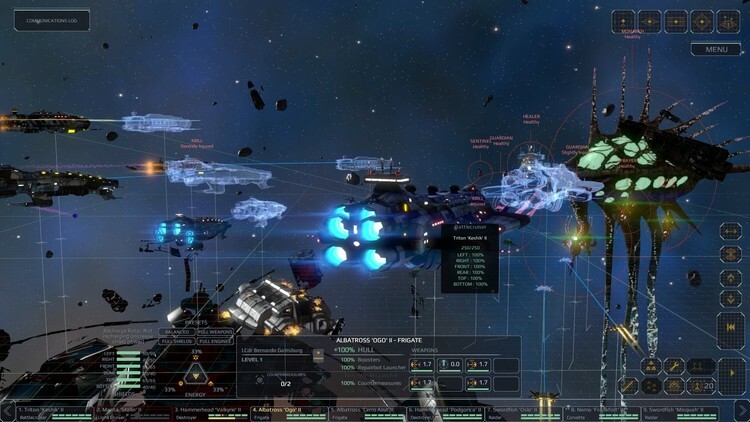 Even in Early Access, this is 2015's finest small-scale real-time tactical strategy game. A dark, tense amalgam of Space Hulk and ALIENS, with a thematic twist on last year's GOTY, Deadnaut, Space Beast Terror Fright is as captivating as it is hilarious. Built for co-op, it's a game of plunging the depths of procedurally-generated derelicts for data cores and, eventually, to detonate the onboard reactors for good measure. 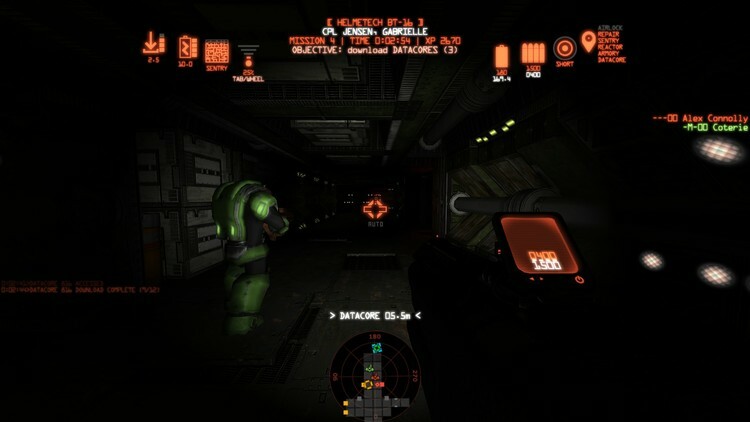 Players clomp around the dark corridors in search of terminals and sentries to activate, all the while dogged and hunted by marauding, relentless alien foe. Well-trod ground across most science-fiction delivery mediums, but Space Beast Terror Fright feels exciting due to ominous lighting, retro-futurist sound design and odds massively stacked against the player. An absolute gem, punching for the retry mission as much as the electronic door locks. Brigador is awesome. It's retro. It's brutal. It's a grand old time. This is my kind of sentimental gaming. Being raised on the Strike series, on the hallowed MechCommander Gold and gear like Crusader: No Remorse, Brigador is the kind of love letter equally deserving of adulation as any Rose-Tinted 8-to-16bit Platformer Rehash™. Detailed visual production blending the fastidious pixel isometrics of yesteryear with conservative servings of modern effects, pushed along by a top-notch Makeup and Vanity Set soundtrack, it feels like Future Cop: LAPD, had it been made between the 16bit Strike games, rather than a generation later. Featuring deliberately cumbersome controls and a distinct weapon cache, feeling as purposefully imprecise as often as it does laser-direct, those fellows at Stellar Jockeys have crafted an essential slice of stompy arcade-tactical fun. 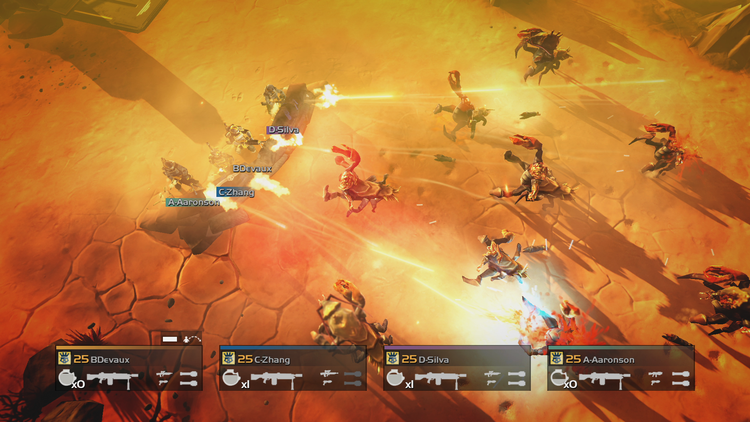 Helldivers was a game I'd followed since it was initially unveiled at an E3 event, a few years ago. Delayed until done, which is the way it should be, it finally released across the three Sony platforms in early March, 2015. There was only one choice in deciding where I'd fight the good fight, and in the name of convenience, it was on Vita. Helldivers might not be the finest looking game on Sony's handheld, scrubbed of its pristine anti-aliasing and suffering more than a few muddy textures, but it grabbed hold like a hookworm. 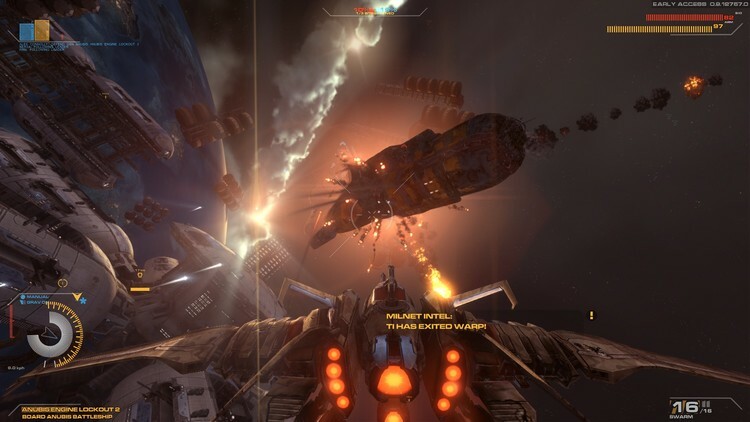 For the uninitiated, the nutshell is a top-down co-op shooter, wrapped in the cylic metagame of a galactic territorial war. Players drop into systems under the control of three discrete alien races, battle through a number of procedurally generated objectives per mission to cleanse a planet and add points to the war effort. Once the collective war effort per region reaches a threshold, the sector is liberated and the push to the alien homeworlds continues. When each enemy race has been shown the door, the war concludes, medals are awarded and the whole thing starts over. Objectively, Helldivers appears grotesquely Sisyphean, but the outer skin of Verhoeven-esque military satire keeps the perennial struggle buoyant. Not to mention the cute graphical elements that feed into this notion of an all-hands clash across the galaxy; Helldiver starships, sporting the names of other players in the sector, warp in and out of orbit. It feels busy. It feels populated. Each time I log in just to do a quick solo run on a lunch break, the sight of a fleet hovering over a planet only helps to enforce and energise the feeling of a tireless one-two around the clock. Each content update has been gratis, bolstered by piecemeal equipment DLC packs that don't splinter the community. Smart people over at Arrowhead. While the latest content update is not particularly my cup of tea -- relentless arena battles mirroring a Gears-esque horde mode -- the missions remain as fun as ever. The drops as thrilling now as the first. The friendly-fire accidents and mishaps never lessening in their laugh-out-loud tragedy. I love it and, now with the PC release, have double-dipped and continue to love in the name of freedom and liberty. Surely you'd like to know more? Not done yet. I usually don't do these kinds of things until New Years. The last thing I gotta get in is probably Undertale. This thread ain't going nowhere. 2015 was and is so big that I can continue playing 2015 till the end of 2016. That is where we are at. I mean honestly I would love to play any of the games on Alex's list, but damn son... 2015 had other plans. This year I played many of the biggest buzzing games. Certainly the Witcher deserves all praise for displaying a fine craftsmanship on a scale that I could compare to the works of Michelangelo, Leonardo, or any other ninja turtle, but in game form. It is the best example of an open world RPG I have yet played. Though witcher doesn't steal everything. Kings Quest chapter 1: a knight to remember is a game that has enduring warmth. It is a good game, not just in that it is well made (which it is), but in that it is pure and refreshing as a natural spring. It wears it's heart at the end of it's sleeve, and creates something utterly charming. It also through it's adventure game mechanics created puzzles that can shift based on the players value judgements. It feels like a fully cooked pie ready to serve from the start, I hope every proceeding piece is as delicious. Metal Gear? There is conflict in my heart. This game achieves high heights, but it drops you on occasion with what feels like unfinished content. What I can say for sure is that this game really comes together when you get ahold of exotic equipment and get a feel for the game mechanics. It allows for a truly epic and dynamic metal gear style infiltration. It learns lessons from every other game in the series to form an evolved experience. I honestly wish I could have more, right now. Until Dawn. Strip the wholesome good nature from kings quest, here is a cinematic adventure that perfectly emulates the slasher films it is inspired by. The rub is that every choice has a consequence and nobody is safe. Characters can die and the story will move without them. It is very impressively done, similar in some respects to David Cages games though more even in quality. It feels like an interactive movie but with the depth only games can provide. Bloodborne, of course. It has devoured the soul of souls which had already devoured my own personal soul. Beyond that though it makes it all feel new again rather than a reanimated corpse. The actiony focus doesn't detract from depth of gameplay, it feels great. This was the electric jolt fans needed.